Robert Wilbert’s work has been collected by numerous institutions, including the Detroit Institute of Arts and several national corporations. Among his many commissions are the design of the 1987 U.S. postage stamp commemorating the state of Michigan’s sesquicentennial, the official portrait of James Blanchard, governor of Michigan, and that of Irvin D. Reid, President of Wayne State University. Additionally, his thirty-eight years as a professor in the art department at Wayne State University and coordinator of the painting area were instrumental in bringing the program to prominence, locally and nationally. Wilbert nurtured generations of students who have gone on to successful national careers, contributing to the arts in very positive ways, as artists, writers, educators, curators, and art dealers. 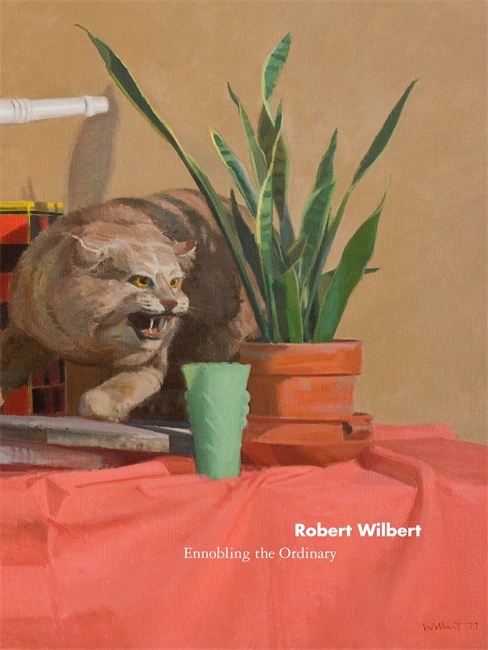 This volume traces Wilbert’s career as an artist, teacher, mentor, and advocate for the arts in essays and interviews with the artist and various contributors close to him. Robert Wilbert: Ennobling the Ordinary was conceived as a publication under the auspices of Detroit Focus, which has a thirty-two year history as a nonprofit artist organization in the greater Detroit area. The primary mission of Detroit Focus has always been to serve artists and educate the community. The organization has produced numerous art exhibitions, catalogues, public sculpture, and site-specific installations; it has also commissioned artwork and for fourteen years published The Detroit Focus Quarterly. Wilbert’s values, attitudes, innate talent and intellect offer thoughtful building blocks for a career in the arts. Young artists seeking a place in the broad spectrum of the art world can gain much from this intimate study of an artist who deliberately chose to remain in the Detroit community. Gere Baskin is the former director of Detroit Focus, a post she held from 1979-91. She received dual masters degrees in art history and museology from Wayne State University and was awarded the WSU Arts Achievement Award in 1989. Dirk Bakker, is the former Head of the Detroit Institute of Arts Photography Department. He is internationally renowned for a series of ethnographic art books containing some of the most elegant images of Mayan and Mexican culture.